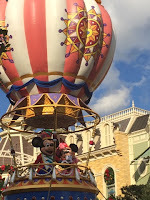 Running on Pixie Dust: The Many Lands of Magic Kingdom - Main Street, U.S.A. The Many Lands of Magic Kingdom - Main Street, U.S.A. Enter the gates of Magic Kingdom and you will instantly find yourself stepping back into the world of Walt. The hub in Main Street, U.S.A. is the center of the action for Magic Kingdom and where your magical journey begins. But Main Street, U.S.A. is not simply a sidewalk to pass through on your way to the rest of the park. Here you will find shopping, restaurants, and character interactions that will get your day started in the right direction! One of the things to know about Main Street, U.S.A. is that both the afternoon and nighttime parades pass through this part of the park. If you hoping to catch the Festival of Fantasy Parade or the Main Street Electrical Parade, be prepared to grab your spot early as serious parade watchers start claiming a viewing location up to an hour ahead of time. The same is true for nightly viewing of Wishes. All of three of these attractions do offer FastPass+ as well which we have found really useful traveling with young children and strollers. Rather than fighting for a spot to view the parades or fireworks, we simply roll into our reserved areas about 15 minutes before the start time. Main Street, U.S.A. is also home to a number of restaurants. You can find everything from hometown favorites such as hot dogs at Casey's Corner or grabbing a dip of your favorite ice cream flavor at the Plaza Ice Cream Parlor. However, if you're looking for a "don't miss" dining experience, join Winnie the Pooh and his friends at The Crystal Palace for buffet character dining. 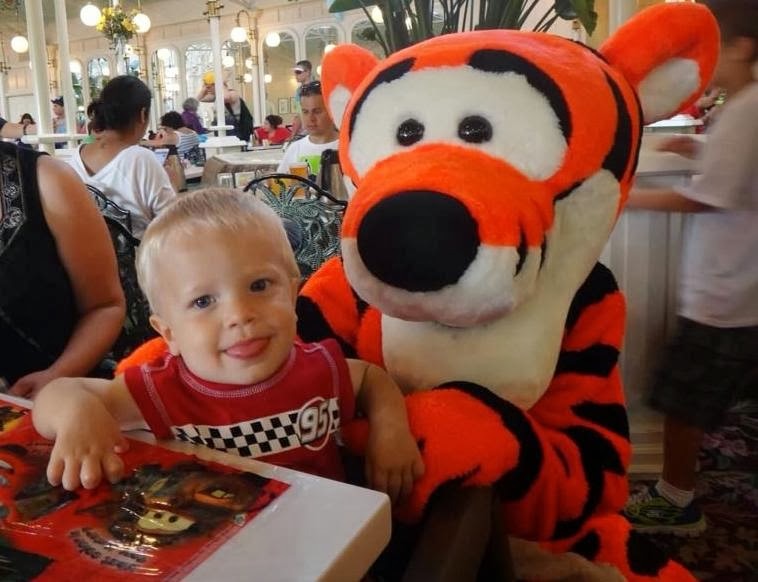 If you hope to dine in the Hundred Acre Wood, be sure to make a dining reservation as this popular restaurant often fills up quickly! And before you leave Main Street, U.S.A. you must pay a visit to Town Square Theatre where both Mickey Mouse and Tinker Bell can be found. Each of these characters appear in separate theatre spaces which means that you must wait in two separate lines for them. The best part? Not only do you get a great big Mickey hug and an autograph, but this Mickey talks! 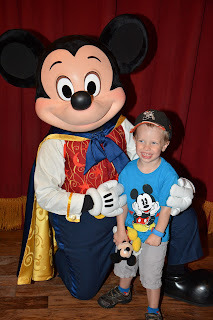 This was the most memorable of all experiences for my son. Wait times can really vary at this attraction - I've seen them as short as 15 minutes and as long as an hour. 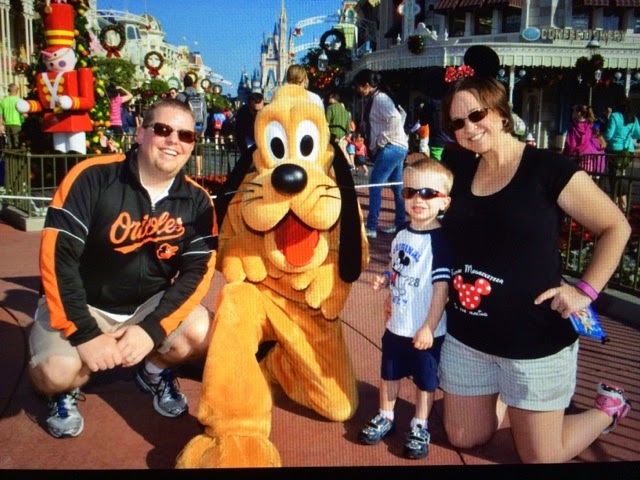 We almost always use a FastPass+ reservation on this since it's a must-do for our family. On your way out of Town Square Theatre, don't forget to look out for characters greeting guests including Snow White and Mary Poppins. Whether you're grabbing a character photo, a Starbucks coffee, or picking up a last minute souvenir, Main Street, U.S.A. has something for everyone while paying tribute to the life and memories of Walt Disney - the man behind it all!